Due to my relentless commitment to providing outstanding customer service as an expert Seattle area REALTOR®, many satisfied real estate clients have become advocates and have submitted these greatly appreciated reviews regarding my services. Ken sold our Mom's house for us. He gave great advice but let us make our own decisions about things like timing, whether or not to do a pre-inspection, staging, pricing, etc. In retrospect, his advice was spot on. He really knows what he is doing, and he also has integrity and respects his clients. We ended up with multiple offers with escalation clauses, and Ken managed that auction day (the day we opened offers) masterfully. We feel he obtained for us the true market value of the home, which these days, is pretty high. It went for 21% over asking. 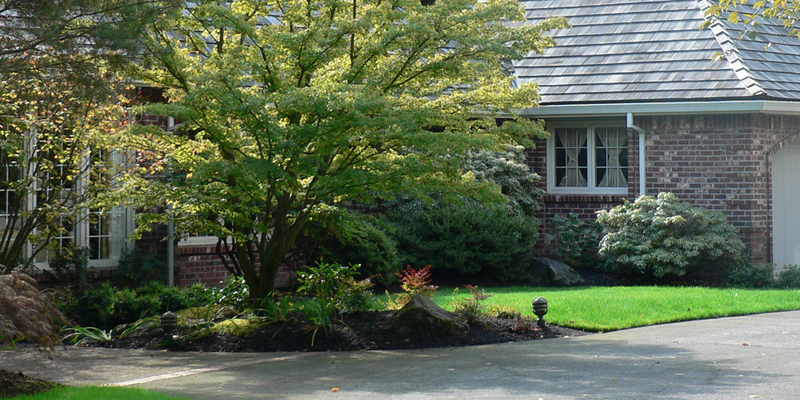 Before listing, we had offers from people who wanted to buy the house directly from us. Some in the family thought we should skip staging expenses, skip paying a realtor, and do a for sale by owner. We know that a good realtor more than pays for themselves and we were right. But the nice thing is, Ken has integrity, so while we are happy we got the best possible price, we know the process was honest. If it's not clear by now, we recommend Ken without reservation. Especially if you are selling a home in a hot market, and need someone who can make sure you get the full value of your home. When preparing to sell we asked several Realtors what we might do to maximize the appeal and sales price of our Queen Anne home. Ken Graff of Coldwell Banker Bain provided the most useful list of improvements and those served as our guide. We had not engaged Ken but he stayed in touch, helping us as we went along. Multiple agents had approached us by the time we were ready to go to market but it was clear that Ken was invested in the project and in getting us the highest return possible. Ken's advice on pricing and staging were excellent but he never over-promised. His marketing of the home resulting in hundreds of people viewing it. Several days running it was Zillow's most viewed home in the area. Ken was strategic in pricing, aggressive in marketing, and completely professional throughout.. Because of Ken's approach and execution of his marketing plan, we received 12 offers in a week and sold the house at more than 25% above asking price. He delivered far more than we expected. We thoroughly enjoyed working with Ken and couldn't be happier with his results. We gladly recommend him to anyone contemplating a sale of their home. I trusted that Ken would do great job as a listing agent for my wife and I. As a commercial realtor myself, I could tell that Ken had the proper skillset and experience to assist in successfully prepping and marketing the home for sale. I also trusted that he could successfully represent us and negotiate with the buyers and their brokers to achieve the best results for us. Throughout the entire process he gave us excellent and prompt advice and input. When the purchase offers came in he spent great time and effort successfully negotiating the highest price and terms for us. A good real estate broker can bring in far more than they charge a client, and our trust was rewarded with a smooth sale process along with tens of thousands of dollars above our expectations. Thank you Ken Graff! Ken is fantastic! He is very approachable and never once made us feel silly about asking questions (multiple times in certain cases) and his patience is so greatly appreciated. After looking for quite a while and never feeling 100% about most of them, he helped us nail down the perfect house, and his professionalism and knowledge beat out 13 other offers on the home. He works so hard and doesn't blink an eye at it; quick to respond, makes time to work with wonky schedules, prepared, calm and collected during stressful moments. He is just the best and I highly recommend him to anyone looking to buy or sell. He really does have his client's best interests at heart. Thank you so much, Ken!! Ken did a wonderful job helping us relocate from Los Angeles to Mercer Island. We had two separate days to find a house and we told him we needed to see as many properties as we could in a short time. He was organized, had a plan laid out, and we tackled it! Day two, we found our house. Ken's expertise through the process was great. Easy to reach, and on top of all the details to close the deal. In a super hot market, he got us our house!!!! Thank you Ken. Ken's professionalism paid off with a sale and closing in less than 30 days. Very impressive. House was listed on July 10, two offers were delivered on July 21 and the house closed on August 6. Ken knows how to market and follows up on details, even providing fresh flowers for the open houses.Highly recommend him for your real estate transactions. We are very pleased with the performance of our realtor, Ken Graff. With his advice and diligent marketing, we were able to maximize the sale price on our Queen Anne home. When in the market for a realtor, I visited several Opens on Queen Anne, and when I met Ken I knew he was just the right person for the job. He was so pleasant, positive, and professional, and throughout our work with him that did not change. We were selling our family home of 50 years, and he was very sensitive to the circumstances and helpful in every way to making it a smooth sale. If I had to do it again, I would choose Ken again. He is a wonderful person and a great realtor. We chose Ken to help us sell our Magnolia home. From his initial visit, to closing, he was involved and attentive to our needs. We were impressed with his marketing skills, which resulted in many interested buyers. He was awesome at negotiating the sale, and we were very pleased with the final price. Ken was focused on details, professional, and listened to our concerns. We would recommend Ken to anyone thinking of buying or selling a home. Ken facilitated our Queen Anne home sale as our selling agent. We became acquainted with Ken as he had recently listed a comparable home in our neighborhood that sold quickly and over the asking price. We were hopeful for the same result. Ken came to us with an aggressive marketing plan. He presented as motivated, hard working, and knowledgeable about what it would take to sell our home. This he accomplished in a short time and at top dollar. His marketing skills reached a broad internet population as well as Seattle area perspective buyers with open houses, mailings and networking. He was a pleasure to work with in all respects. He was always available for us, returning our calls and helping us in many areas to get our house ready to sell. Ken is a smart agent who is kind and principled. I hired Ken to be my realtor and act as a selling agent for my condo. There were a number of possible offers and Ken spoke with me honestly and knowledgeably about the pros and cons of each situation.He was attentive, honest and available. Ultimately, we closed on a sale.He was there throughthe entire process, taking on some more involved negotiating.He has terrific integrity!I would absolute recommend him as a realtor. I met Ken at a home at which he was the listing agent. I wound up purchasing the home. At the same time, my townhouse was on the market that I had listed with another agent. I had not received any offers on my townhouse and eventually, to my frustration, the listing expired without selling. I was impressed with Ken and asked him if he would be interested in representing me as the listing agent for my townhouse. With Ken’s efforts and guidance, I was able to sell my townhouse at a top of the market price. He had a detailed plan to reach buyers through effective local and international marketing, open houses and networking. Ken is knowledgeable, talented, and was a pleasure to work with. I will work with him again and would highly recommend him to anyone looking to buy or sell real estate. Ken Graff struck us as being very knowledgeable of current market trends, and very resourceful in providing references and contact information for professional services that may be needed to insure a quick and clean sale (i.e. inspections, repairs, etc.). Ken rightfully carries himself well and portrays himself as a very confident and aggressive soul. He will do what it takes to make your journey comfortable and prosperous. We just closed on the sale of our home in Madrona, for which Ken Graff was the listing agent. Ken is clearly an experienced realtor who was unflagging in his support, availability and attention to detail during the pre-sale and listing period. He has great resources, contacts, and information. When it came time to negotiate through a somewhat sticky situation, he was calm and had excellent strategic advice, resulting in the sale coming through when we thought it wouldn't. He is a consummate professional, and a man with integrity. I recommend him without reservation. 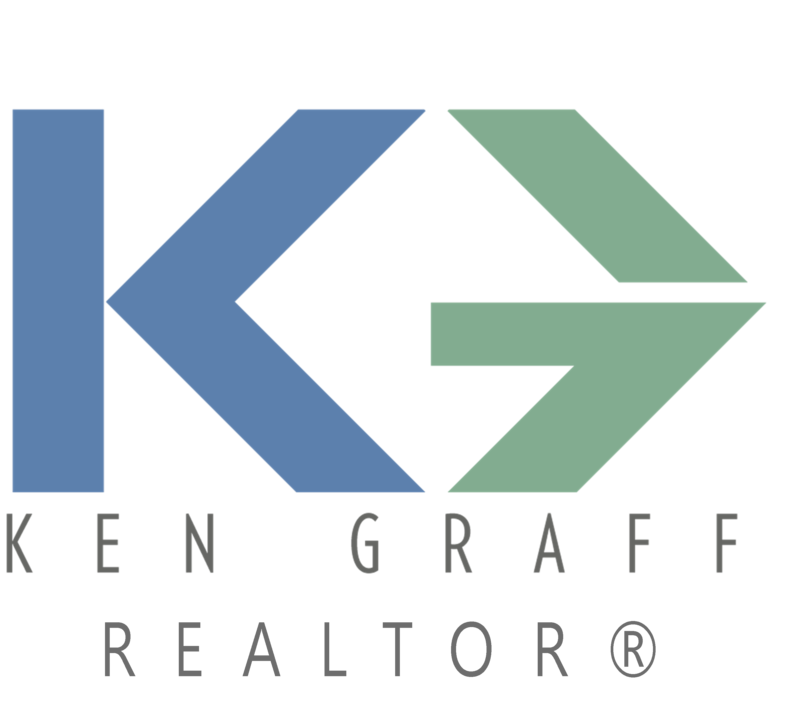 I've worked with good real estate agents in the past, but Ken Graff stands out as the top of his profession. We simply could not have closed on our dream home during the busy summer season without Ken’s perseverance, negotiating ability, and mastery of all aspects of the Seattle market and home buying process. He was attentive, always available, strategic, patient, and he exceeded our expectations in every way. As a young professional in Seattle, I knew it was time to buy, both to attain equity and have more space that would be suitable for many years. In talking to a few realtors, Ken Graff stood out based on his lower pressure style, and acting as a coach to clients. I found the other potential realtors to be less approachable and not take the time to determine my true needs before showing me example properties. Ken set me up on a portal system and let me decide on the listings that I wanted to see. In this hot market, the idea of making a handful of offers before becoming a homeowner sounded stressful, but with Ken’s expertise, skill, and thoughtful “game planning,” I was confident that I could get an offer accepted within a couple of attempts. 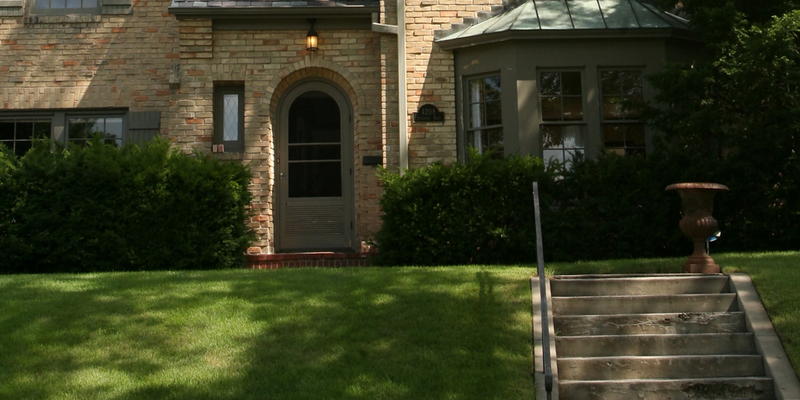 Example strategies of Ken to get an offer seen include pre-inspection, networking with the listing agent, and formulating a statement with the offer advocating for his client. 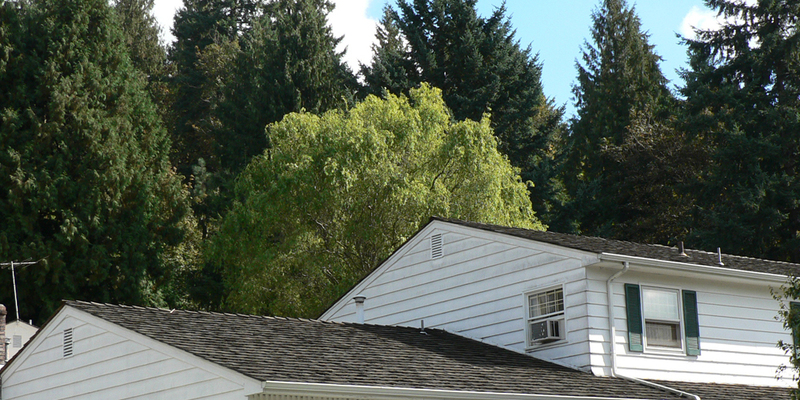 When Ken and I visited a townhome near Greenlake, I knew it would make a wonderful home. Ken was accessible and patient as we discussed my budget and his gauge on the competitiveness. We ended up winning over 11 other offers, and Ken was most certainly the right choice for getting my first offer accepted! It’s been almost two months since I moved in, and I’ve also been very pleased with Ken’s follow up after the close. He helped obtain information from the sellers that was critical to getting accepted in the State’s Solar Incentive Program. I recommend Ken to anyone in this market and appreciate all of his hard work! Ken is absolutely the best realtor we have worked with. Throughout our search for a new home, he was encouraging, responsive, professional, and had a great understanding of the market. We purchased in a very competitive area, and he was masterful at negotiating on our behalf. He put us in touch with other professionals (mortgage broker, etc) who were a pleasure to work with and incredibly efficient under tight deadlines. We especially appreciate that Ken's kindness and personal ethics left all parties feeling happy and satisfied at the end of the process. We worked with Ken on two separate houses, and in both cases he did a great job! Ken did an excellent job with the purchase of my townhouse. He has a superb knowledge of the local area and was quick to provide good advice on areas in Seattle that I was not very familiar with. The whole process went very smoothly. Most of the paperwork was completed via email which I found to be extremely convenient. Ken was very quick to respond to every question I had via phone, text, and email. I had several problems getting a hold of realtors in the past and Ken is always available and quick to respond. If I could give Ken a 6 (out of 5) on negotiation skills I would. We put in an offer that came in a little over the appraised value. Ken worked with the selling agent to reduce the price down to the appraisal and I got a nice washer/dryer that I didn't even think to ask for. Overall, I'm confident that I got a fair deal and I'm very pleased with Ken and the job he did. I'll be sure to recommend him. Ken is exceptionally talented and hard working at both sales and service. His background, experience, and demeanor significantly distinguish him from his colleagues. I highly recommend him as a real estate professional. Ken Graff was outstanding! He spent a lot of time getting our deal to close. Buying in a historic building presented many challenges & Ken was there every step of the way. Thank you Ken!! Ken Graff was our buyer's agent as we purchased our house in West Seattle. As first-time homebuyers, Ken's help was essential as we faced a fast-moving and competitive market for buyers. Ken was extremely reliable in communication (phone, email, text, face-to-face – you got it) and he always had time to visit new listings around our schedules. We appreciated his excellent professional advice throughout the process. Ken will share his wisdom with you when you ask, but will not push you in a direction you're unsure of. It is clear that Ken loves his job and cares about doing it ethically and fairly. Through Ken's work we learned the value of a strong advocate in the challenging Seattle market and we recommend him highly. I needed to purchase an apartment quickly for an across-country relocation. Because of Ken's efficiency and great organization, I was able to see all the apartments on my list in a single quick visit. Ken was then a great help in making the long distance purchase process smooth and very easy for me. He certainly went above and beyond what one expects of a realtor. What could have been a high-stress experience was instead fun and exciting! I highly recommend Ken! I highly recommend Ken. Not only did he help me purchase a premium property at a great price, but he also delivered in a tight time-frame. Ken worked hard to gather repair estimates and was tactful in negotiating the price. His focus on my needs was resolute. Ken was courteous, enjoyable to work with, and made time for me when I was available. I couldn't be happier with my new home in Queen Anne. I love it. Thanks Ken! Ken has been absolutely great to work with! He was given a tight budget and timeline, but delivered beyond my expectations. Ken is organized and focused, but he is also very personable and trust worthy. He follows through on whatever big or small question you have and patiently walks through details. His passion to help people and his love for his town makes him great at what he does! No matter what your budget or situation is, Ken will ensure you find your dream home. I'd highly recommend him and would definitely work with him again. I found Ken when I began the search for my first property. I really had no idea what I wanted at the time--deciding between 2-4 bedrooms and 200-500k. Ken was patient and helped educate me along the way. We looked at over 20 properties and not once did I feel pressured to pull the trigger. When we found the house I own now, we both knew it was the right fit. I had a terrific experience working with Ken and would most certainly recommend him to anyone in the Seattle area. Ken was great, he was always available and responsive to questions. When I was ready to make an offer he listened to my priorities in crafting a strategy, and remained involved to ensure the close process went smoothly. Couldn't be happier with my new house! Ken cared about me as a person, not just a client, and there was never any pressure to get something I didn't want. It was entirely always up to me... as were all of the decisions in the process. I am so pleased that Ken Graff was my realtor! Even before I moved to Seattle, Ken was providing me with daily real estate updates. Once here, he was very responsive to my many questions and responded quickly to all my emails. Whenever I asked to see a place, we were there within a day. Ken was always so reassuring in the condo looking process, and so helpful with helping me through all the paperwork when we found my place. I was in my new home a month after my arrival! That is pretty amazing with the Seattle real estate market being what it is. And, in addition, to all his professionalism, Ken is really pleasant, kind. And personable. I recommend him completely for any real estate need. Ken did a great job for us! We are so happy with our beautiful new place in Edmonds. We were new to the competitive way the Seattle market works, and Ken enabled us to get the property we wanted. We would recommend him to anyone; buyer or seller. We were very lucky to be referred to Ken to help us find our first home. We were moving from far away, and Ken went the extra mile to kick off our search before we could be there in person. After we arrived, he took time to help us get to know Seattle’s neighborhoods to tailor our search based onour specific preferences.We knew little about the home buying process, and Ken was an amazing and patient coach from start to finish.He is extremely knowledgeable about home buying strategies in general and the competitive Seattle market in particular.He stood by us through a number of interactions with sellers and helped us to get a great deal on our dream home. I have worked with several different agents and Ken by far has been one of the best real estate agents I've worked with. When we first met, he was very well prepared and was thorough.His attentiveness and attention to detail allows him to be an excellent communicator and getting what you need,in whatever situation you are in.I highly recommend him for any real estate needs. Ken is an absolute professional in every sense of the word. He assisted my wife and I in buying our family home in the Fall of 2015, in a very competitive market. I can say with certainty that if we had another broker working with us on our specific deal, that we probably would not have got the house and we have Ken individually to thank for that. His ability to connect with people, specifically other brokers, is a special skill and allowed us to get enough information on what the sellers wanted to submit and negotiate a winning bid. It was a non-conventional approach, and that is what sets Ken apart from other brokers we have worked with. He is well educated in the markets that he works in, and has a wide network of other realtors and professional services to help you through the buying process, as well as after the close. There were several situations that arose during our closing period that were stressful, and Ken helped us stay calm and collected and went above and beyond to assure us that the transaction would close smoothly. And close smoothly it did. He was a terrific liaison between the selling agent and my mortgage broker also, which was a tremendous help. Ken most certainly has a customer for life and I have no shame in recommending him to all of my friends and family. We would highly recommend Ken as a broker. As newcomers to Seattle, Ken's commitment and knowledge was very much appreciated -- he's clearly passionate about the city, and an excellent guide. We saw some great houses with him and settled on one for a price we were very happy with. Mr. Graff is by far one of the greatest realtors I've ever had to work, communicate and entrust with. He isn't about himself or the sale first, he is about the satisfaction of the individual or family that have entrusted their home requirements, time and money with. I talked to a couple of realtor's prior to choosing Mr. Graff, but none of them guided my fiancé and I along the process as honestly and professionally as he did. We are grateful to have had a realtor as skilled and devoted to his work ethic as he was. Thanks again, Ken! Ken is the only realtor I would be willing to work with in the future. His attention to detail on focus on supporting my wife and I to make the best decision was the perfect fit for us. We were first time home buyers and couldn't have been take care of better. It was such a good experience that I felt compelled to write my first ever zillow review. Ken is an amazingly responsive and hard-working agent that clearly keeps his clients' needs at the forefront. Ken helped us negotiate and close on our dream home in a very challenging sellers' market through smart and well-timed negotiation tactics. We are greatful for his knowledge of the process and tactics and would recommend him to anyone. We met Ken Graff with Coldwell Banker-Bain in Seattle two years before we engaged him as our realtor. He was hosting an open house we attended and made such an impression on us that I saved his business card, and when we got serious about buying we gave him a call. Ken was prompt,prepared, and enthusiastic at every showing he planned for us. He showed us properties that met our criteria and didn’t waste our time with those that would not fit our needs. Ken gave us knowledgeable advice each time we prepared to make an offer, and even if we didn’t take it, he did whatever we asked him to do. He represented our interests and worked hard to get us the deal we wanted. Ken kept us informed through the whole signing and closing process, and answered our many questions and addressed all of our concerns. He drove all the way to Bellevue and back on the afternoon of our closing to pick up the keys from the listing agent so we could occupy the condo that evening. The next time we need a realtor to buy or sell we will certainly give Ken Graff a call and suggest that you do too. You can not find a better realtor then Ken Graff! This guy really knows what he is doing. My home purchasing experience was flawless, fast and professional. Ken was able to make my deal go through within a month. He also guided me to a great mortgage broker which made the deal even better and easier. Honest person, willing to work with client, provide exceptional service without complaints, provide professional advice. Ken Graff is excellent in all respects--very prompt in response, eager to provide needed information, courteous, knowledgeable, helpful and effective. We couldn't have chosen a better advocate than Ken during our home-buying process. What I loved about Ken was his expert knowledge of the housing market industry, his professionalism and his outstanding work ethic. He was committed to helping us find the perfect home (and we did). He's very approachable and always has a calm and positive demeanor, even my kids loved him! In a crazy housing market like Seattle's, you would definitely want someone like Ken on your side! Just waiting for an opportunity to refer him to others. Ken!! As we are settling in and enjoying our new home, I just wanted to acknowledge how grateful we are to you for helping us seal the deal in this incredibly tough market! We really were lost and confused souls and you were immensely helpful in guiding us with decision making, and navigating through the big world of builders, inspectors and negotiations. We couldn't have done this without you, and we consider ourselves SO lucky to have you as our agent!!!! Ken Graff is excellent in all respects--very prompt in response, eager to provide needed information, courteous, knowledgeable, helpful and effective. With his help, we purchased two houses and sold one. And he took us all over the Seattle metro area wherever we wanted to go see houses. Undoubtedly, if we need to sell/purchase another house, we will go to him again. I just wanted to thank Ken Graff for the wonderful service in helping sell my mother’s home. He made sure he was always available for any questions we had and treated us like we were his only concern. He made everything move smoothly and quickly. There are not enough kind words to say about Ken. I have purchased and sold several homes in my time and no one has ever made it as easy as Ken did. there will never by another realtor for me. The next Time I buy or sell a home Ken will be my first call! Ken was wonderful to work with! He was patient with all and any questions, always responded promptly and went above and beyond my expectations. He helped me understand the process and the timelines involved and stayed present in helping make sure that every deadline was met. He was a great advocate and I believe the smooth and quick process of purchasing my home was in no small part due to Ken. I would recommend Ken with no hesitation and would work with him again without question. I honestly don't think my wife and I would have been able to buy a home without Ken. Most people aren't in the housing market more than a couple times in their lifetime. You need someone with savvy experience and who you can trust completely. Ken Graff fits that definition perfectly. His attention to details of houses we looked at, through the process of buy the house we chose, was relentless. Ken clearly has a passion for helping his clients. It showed in everything he did for us. Ken Graff was recommended to us by a friend, and we consider ourselves so lucky to have him as our agent. Ken has an incredibly warm and friendly demeanor and we felt immediately at ease with him! He paid very close attention to everything we were looking for and all his searches were very specific to our needs. Within days he was able to match us to a house that suited us well, and was then critical to negotiating and helping us settle all the nitty gritty details of buying a house. He made it all seem easy!! Communication with him was excellent and he made himself available to us all hours! Ken- we are just so grateful! Thanks for being such a fantastic person! Ken is an amazing realtor. He was friendly, available, and patient with my husband and I during our house hunt in the crazy Seattle market. He exuded experience and was very knowledgeable about the evolving housing market. I appreciated that he had our best interests in mind, and he was a stellar advocate for us. I would highly recommend Ken for any of your real estate needs. The reason we chose Ken as a real estate agent was because we felt he didn't just say what we wanted to hear, but was always realistic (for example, telling us when we did not have a chance at a specific house with our budget). We made two offers, and the second one was accepted - and we love our new house. In both offers, Ken was very clear in communicating what he thought the best strategy was. At the same time, he was not pushy - he explicitly told us from the beginning he WAS NOT going to tell us what to do, but help us do what we wanted in the best way possible. Ken seemed very knowledgeable, and he always seemed to guess the selling price of houses we would look at before they were sold. His strategies were easy to grasp and made sense. He was always quick to respond to emails or texts, and very available to meet. Overall, I'm very happy we chose Ken as an agent, and would do so again. I am so glad I chose to work with Ken Graff. He did a great job advocating for us, while being kind and great to deal with for all parties involved. He is very smart and willing to take the time to explain. I would work with him again in a heartbeat. Ken has been an excellent realtor for us. He is personable and made every effort to meet our needs. He knows the real estate business and the market especially in the Queen Anne and surrounding areas of Seattle quite well. We had very specific timelines we needed to meet and our availability, since we live out of town, was not easy to predict or plan for on either side. Nevertheless Ken found a way to make it work for our schedule and was very professional all the way. When we found the right property for our needs he saw us through the steps with seeming ease. His plan for purchase offer worked exactly as predicted although I had not heard of it before. And he went above and beyond to show the property to our prospective tenants so we could be ready when the purchase closed. My husband and I recently relocated from Michigan to the Seattle area. We had a great experience with Ken and would recommend him to anyone looking for a realtor. Ken cleared his schedule during our visit (which was less than 48 hours) to help us find the area and home we want to move to. He was friendly, on time and very professional. He had a wealth of knowledge that ultimately landed us in the perfect home. We are very grateful for Ken and all that he did to make the moving process less stressful. My wife and I were looking for a home in Seattle and worked with Ken towards this. Ken was very professional and we highly recommend him. We had no experience with buying a house and were coached meticulously by Ken. Ken was very prompt at answering our hundreds of questions, and was always available for house showings. He is very personable and easy to work with. We never felt under pressure to put in an offer, but when we gave him the green signal, he helped us be very competitive. He also knew the market really well, and was very good at guessing the selling price of houses that were on the market. He also had good recommendations for mortgage brokers and inspectors and we never felt under pressure to go with his recommendations (we did go with his recommendations and they were terrific). Due to some personal reasons, we had to stop short in our search and did not end up buying a house. However, if we were to get back to buying a house in Seattle, I would want to work with Ken again. I've had the pleasure of working with a number of real estate agents over the years and Ken Graff is one of the best! I've seen him help dozens of clients either find the perfect home or sell their current one and literally, in every situation, clients are overjoyed by the level of professionalism, hard-work, and care with which he approaches his work. I jump at the chance to recommend Ken for my friends' real estate needs as I know they're in great hands. Our first call with him was Tuesday morning, and by Thursday evening we had a house! I reached out to Ken (via Zillow) on Monday night, asking about a specific house that had gone up in our neighborhood. We loved the house and had always said it would be the perfect home for us. When we saw it go up for sale we weren't pre-approved for a loan, didn't have a realtor and didn't know what the process would be to buy as we're first time homeowners. Ken responded by email Tuesday morning saying he'd look into the house listing and get back to me. An hour later he gave me a call to let me know bids were due the next day and if I was truly interested in the house, he could help us get everything prepared in 24 hours to make an offer. I was shocked things could happen so quickly, but Ken knew all the right people and it was only through him that it was possible! He told us which lender to call and we were pre-approved in an hour, he booked an inspector for us, scheduled a walk through that day and then coached us expertly through the offer/bidding process. Our first call with him was Tuesday morning, and by Thursday evening we had a house!! If you're buying in Queen Anne, I'd highly recommend Ken. he is a closer and knows what he is doing! Ken is awesome. He knows the area and is willing to go above and beyond. Purchasing from out of state, he was a tremendous help in doing everything that I would normally do if I was local. He was accessible at all hours of the day, even over holidays. He had great recommendations for various services that helped me before, during and after my purchase and move. My clients mean everything to me. Receiving these testimonials from clients who have met or exceeded their goals is largely due to the fact that I always assess their needs and provide them with a level of service that is second to none. No one will work harder to bring about the successful sale of your home, or in helping you get into the property just right for you. I truly go the "extra mile". Thanks again for visiting and be sure to contact me regarding any real estate selling or buying need.